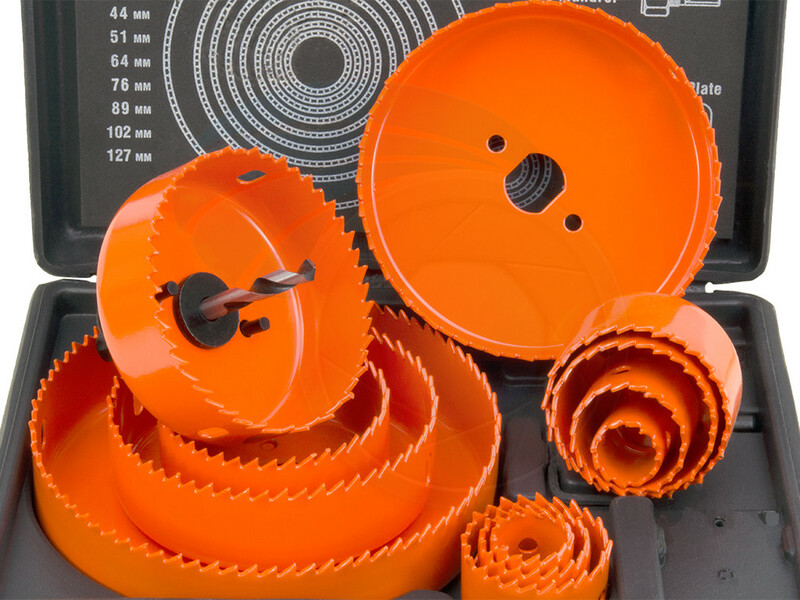 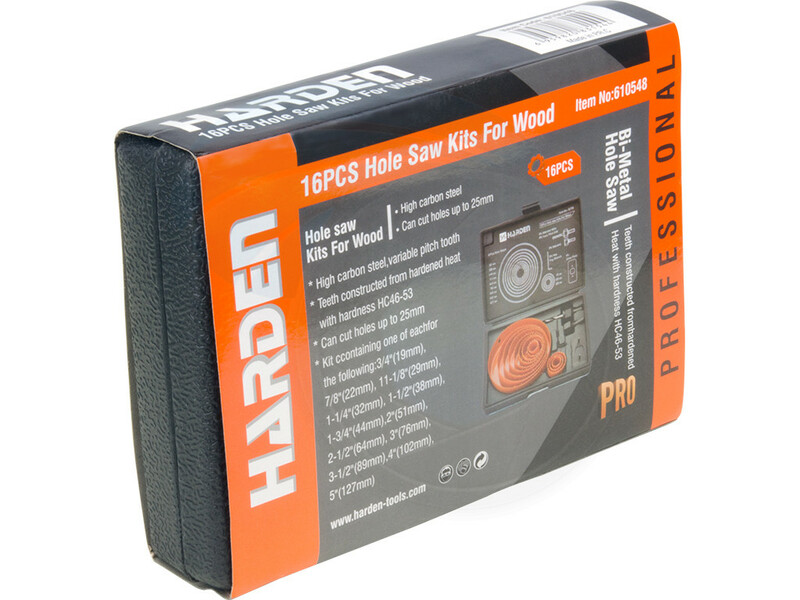 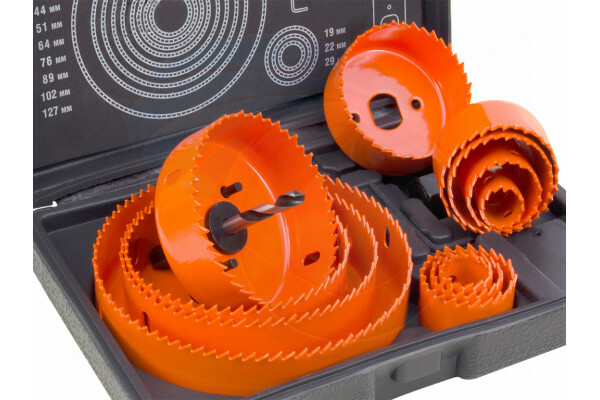 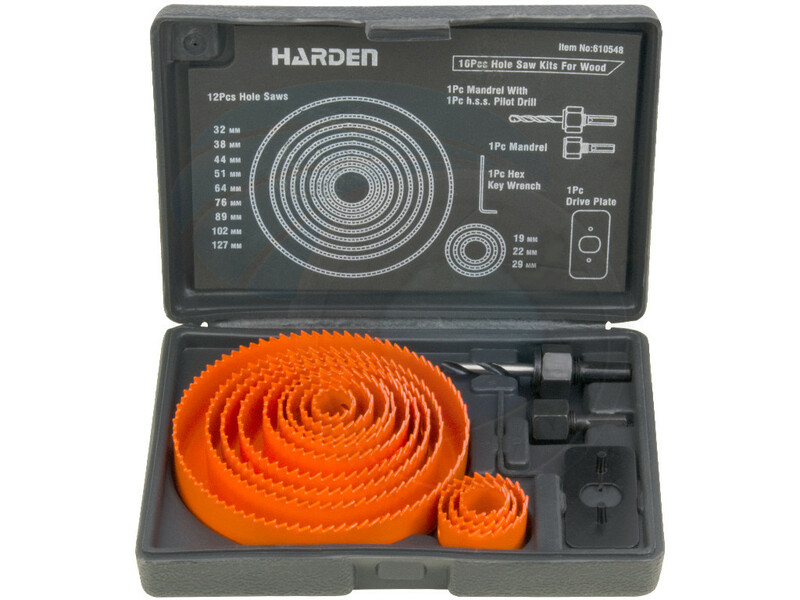 For cutting a range of different diameter holes which include the sizes of 19mm, 22mm, 29mm, 32mm, 38mm, 44mm, 51mm, 64mm, 76mm, 89mm, 102mm, and 127mm. 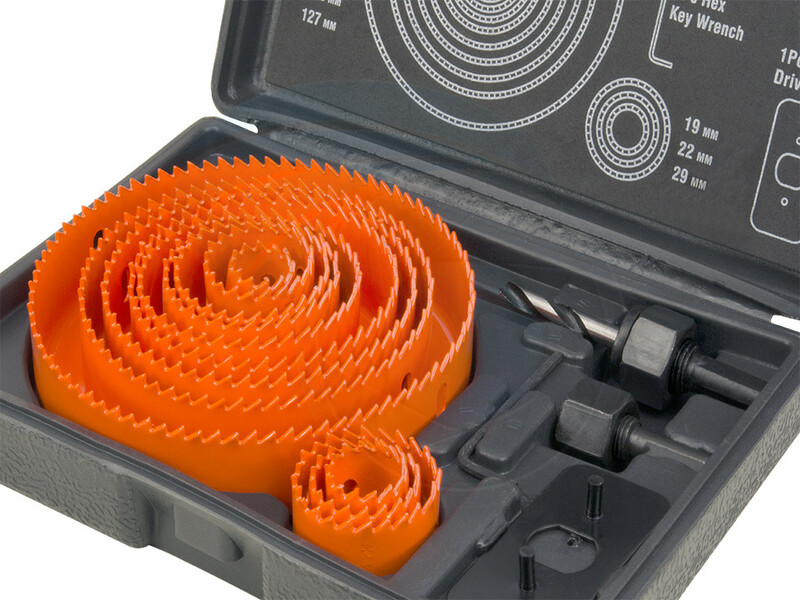 It can cut holes up to 25mm or 1in in depth. 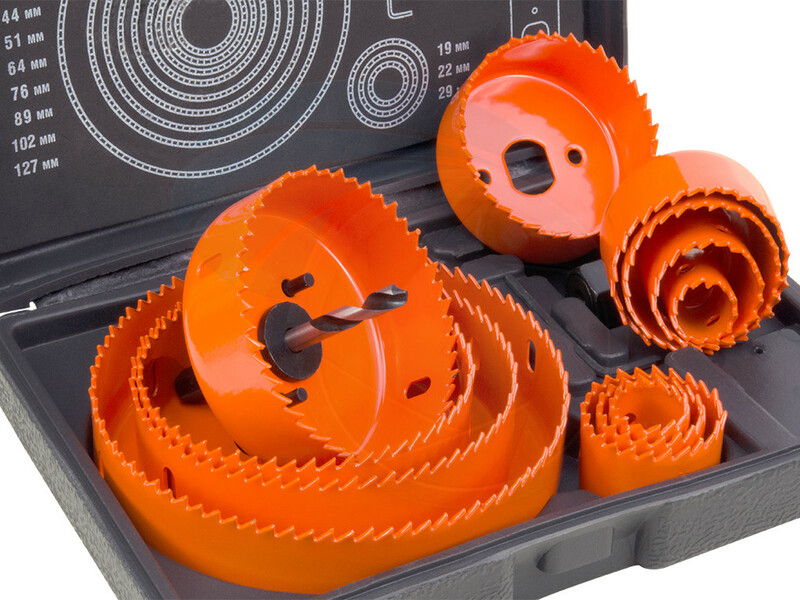 Manufactured of high strength Bi-Metal carbon steel with induction teeth of hardness 46-63 HRC.